Why rent when you can own this nice and clean remodeled home for less? This approx. 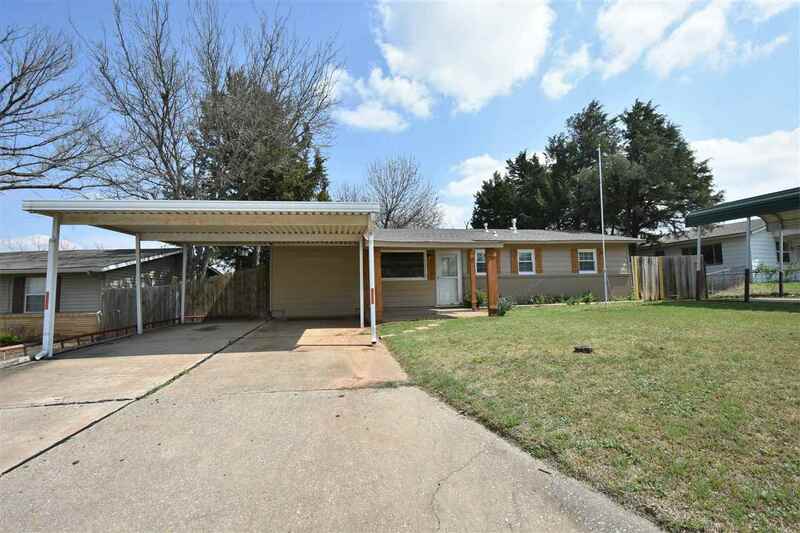 1200 sq ft home has 3 bedrooms, 1.5 baths, with detached 2 car garage and storm cellar. Updates to this home include - new roof, CHA unit, carpet, interior paint, updated baths, new windows, updated kitchen, updated electrical, new lighting, and interior doors throughout. Seller also added extra insulation in attic. The detached 24x24 2 car garage has concrete floor, electricity, 2 overhead doors, and walk-thru door. There is also a storage shed. Family Room Size: 23&apos;10" X 10&apos;0"
Kitchen Size: 14&apos;2" X 7&apos;7"
Living Room Size: 13&apos;9" X 11&apos;11"
Master Bedroom Size: 11&apos;11" X 11&apos;4"
Utility Room Size: 10&apos;0" X 7&apos;6"